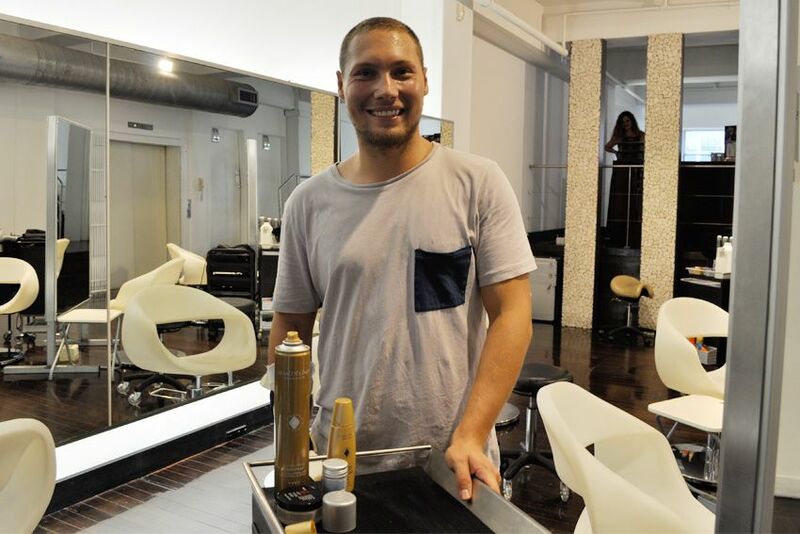 Jaye Edwards is an up and coming hair colourist and stylist who works on the locks of Lara Bingle, Kate Waterhouse, Erin McNaught...and now me! 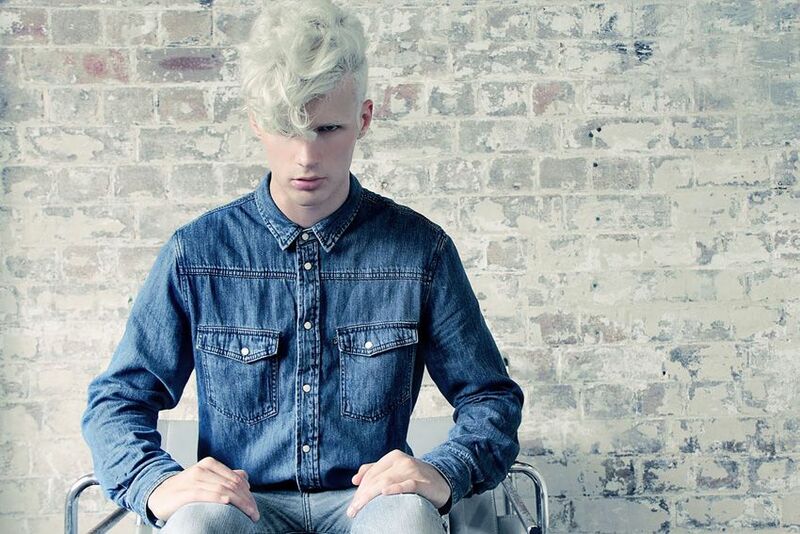 Jaye got in touch with me as he "wanted the opportunity to work on my beautiful hair as he always loves the colour". It was obviously all very flattering and ego boosting to read that in an email so I said yes straight away. 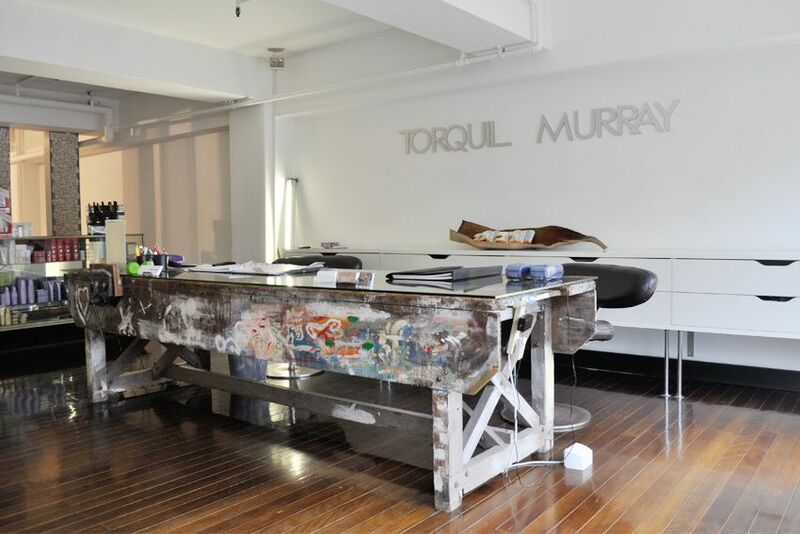 Jaye works out of Torquil Murray, an amazing salon in a huge warehouse space in Surry Hills. Jaye also works freelance on editorial shoots. This recent test shoot with Photographer Pat Supsiri and Model Mitch @ The Agency Models showcases his work. And now for my amazing pink dip dyed hair. Please excuse the crap photo, it was raining super heavily outside and I was kinda getting wet on the balcony, the things I do for you! It was perfect timing for me, just before LMFF so I can have fabulously bold hair for fash week. Love it! The pink looks so pretty with your fair skin. "he wanted the opportunity to work on my beautiful hair"
Penny my dear, that is what HE said to me in the email. I did go on to say it was very flattering and ego boosting, I guess I should have expanded further and said "to read that in an email" In fact Ill change it now. Also I please note I write tongue in cheek 99.9% of the time. *Love* that colour - so pretty. Pretty pretty pretty! By the way, it was obvious to me at least, that you were quoting Jaye about 'your beautiful hair'...Penny, really, read carefully and properly before you make ill considered comments!! Ah, it looks great! I love seeing so many people embarrassing bright coloured hair, seeing it (and having it myself) always makes me happy! Love, love your hair, ahhhhhhhhhhhhhhhhhhhhhhhhh. Good Lord! I had to come back and have a look after a twitter rant from Hayley came up in my feed. My point is simply that Hayley, for someone not doing/producing very much you're ego seems to have grown very much out of proportion from the gorgeous and humble lady you started out as. 1. For every Lovely comment you've recieved on this blog post, you choose only to respond to me? Either respond to all or none. There are so many people on here supporting you and you ignore them? 2. re Anonymous: i think you'll find the post has been edited AFTER my comment. *If you are flying down to LMFF on your own money and staying with your mother then obviously even LMFF doesn't consider you enough of a "somebody" so how on earth you can claim that you're the reason Sydney knows about it I just don't know.......Not sure if anyone has informed you but alot of the fashion agents/marketing companies etc have dual offices in Syd/Melb....SO MAYBE some of us (Yes Darling, I live in Sydney and yes, I work in the industry)have heard about LMFF through other channels. Would you believe other than through work related invites to LMFF i had actually heard of the event through the general press and media? Wow sorry for all the negativity in your comments Hayley! Love the hair! It's gorgeous, and love seeing you in the more natural light, the shirt is rad. 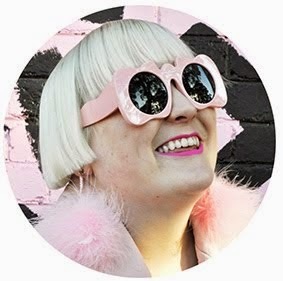 I think it's nice that someone who contributes their time and work for free (a blogger) is rewarded by a stylist as talented as Jaye with free cut/colour. 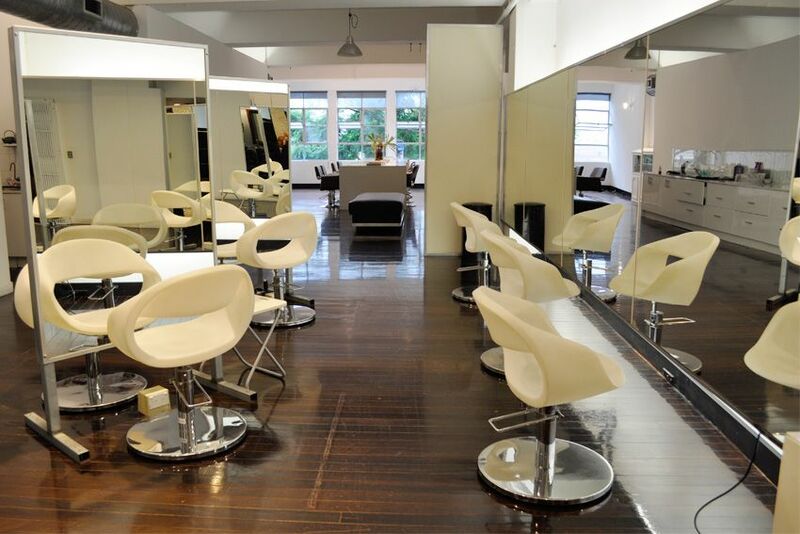 Hayley mentions that she was flattered by the offer, took a tour around a relatively unknown local hair studio, which we now know more about thanks to her blog. Her comments on twitter are clearly sarcastic and implied as a joke, only someone with Aspergers would interpret them literally. They are actually quite funny even if you are not a fan of the blogger. I think it is sad that the tall poppy/ dumb-yourself-down culture in australia is still so evident today, it began back when we were a nation of convicts living in penal colonies. Do you seriously think that just because Hayley is full figured girl she is the poster girl for overweight mediocre, dumb-downed small poppies in Australia? How incredibly insulting to Hayley. She has just as much right as anyone else to put herself in the spotlight and write blogs about any subject she desires. If she becomes a tall poppy as a result good on her, that is what you get when you contribute a lot of hard work and time for little reward. Her physical stature has no bearing or influence on what she should and shouldn't be allowed to contribute to the industry. I thought we had moved past the archaic small-town culture of making sure everyone else suffers and no one else ever succeeds. It is embarrassing when I invite guests here from the international fashion community and have to explain to them before they go to any social events that they can't appear overly confident or 'up themselves' god forbid it provokes a physical or verbal attack! I was attacked by an unattractive and uncouth girl at a party just recently because my outfit and makeup was found to be too attention seeking and obviously more glamourous than hers. She yelled across the room that I had snubbed her earlier in the night when i had never met this girl in my life. Upon entering the party I had actually asked her group of friends if they were attending the same party to which they answered 'no' in true hipster fashion. This awful girl ruined the ambience of the party and later waited for me in the foyer with her friend which was equally weird and left a very bad taste in my mouth, so bad in fact that I booked my flight to nyc soon after the party hoping that i would never have to encounter another mediocre, small poppy Australian trying to make it in the fashion industry. 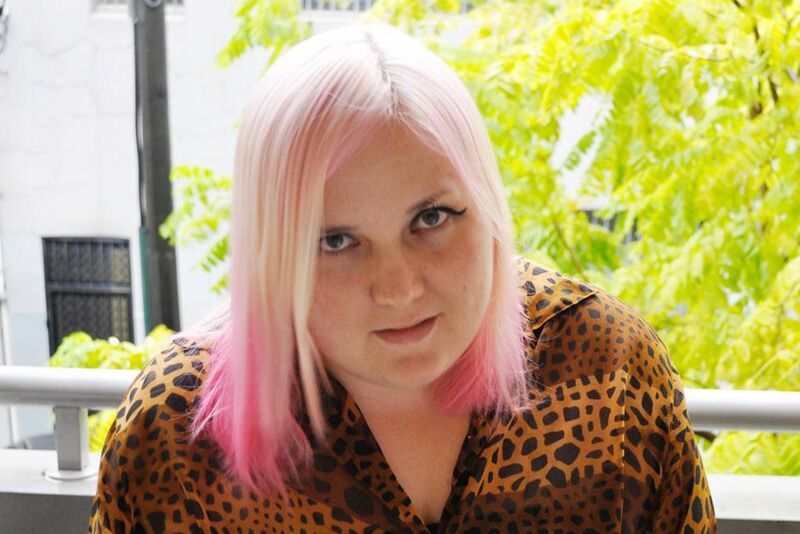 You remind me of this awful girl and it sounds as though you are also a doughnut addicted soda guzzling 'big gal' who got bullied in high school and desperately wants to become involved in the industry to 'show them' (the popular girls). It's probably an accurate guess that you have been rejected from the industry multiple times and now blaming a stranger for your problems. My advice to you ugly betty is to quit the doughnuts, pick your big behind off the sofa and go out and get a real job. Stop reading fashion blogs and magazines because it is just making you more and more jaded seeing what you will never be part of. Rosie Hogan, you are a class act. Your assertion (i.e. stab in the dark) that someone who you have never met and have only read a few words from is a "doughnut addicted soda guzzling big gal" and that only "someone with Asperger's" etc etc is a very ugly insight into your character and blinkered thinking. I suppose this is equally a kudos to Hayley for letting everyone have their say, but seriously? Some people don't need any airtime. Peace out.